VOODOO BELLE YES NO ORACLE FORTUNE TELLER RING! Home > Voodoo > VOODOO BELLE YES NO ORACLE FORTUNE TELLER RING! VOODOO BELLE'S MAGICK YES/NO ANSWER RING! 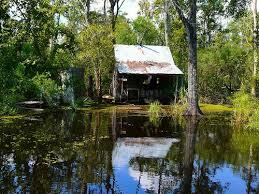 Deep in the swamps of Louisiana, among the cypress trees and shadowy moss, lives Voodoo Belle. No one knows her real name or her age. She has simply been there as long as anyone can remember. She is always happy to see you. She is always expecting your arrival. As you sit at her ancient wooden table, she passes you an old mug full of her best elixer. You do not dare turn it down. You drink. Suddenly you are in another time and place. You see all, you know all. Every object is alive with energy, moving and gyrating to the primal drum beat inside your head. Voodoo Belle explains in broken cajun the ways of ancient magick, passed down from her Gran Pappy. She reaches her hand inside the table and plucks out one of the moving particles. She holds the glowing matter in front of your face. She molds it in her rough hands and fashions it into a wooden bowl. She sits the bowl in front of you. "Eat". She says, and you realize the bowl is full of steaming crawfish stew. Time seems to stand still. She speaks to you without opening her mouth. Suddenly you realize that you are out of the swamp. You stand at the edge of the trees and wonder how you got there. You are left with the realization that you will never be the same. I am pleased to present a collection of prized magickals from the Voodoo Belle Collection. These items are unlike anything you will find in the World. They have been cast by Voodoo Belle herself. These are not your normal spell cast items. Wearing an item touched and cast by Voodoo Belle will rock your foundational existence. Her knowledge of matter manipulation is baffling and amazing and held only in comparison to the great Merlin. 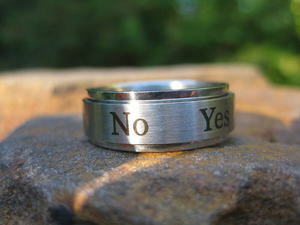 You are considering Voodoo Belle's magick YES/NO answer ring!! Voodoo Belle has spell cast this beautiful ring to help you get the answers you seek! Are we moving to a new home? or any other question you are dying to know the answer to! You can use this ring unlimited times! The powers of this ring never fade or diminish, so you can use it forever to get your YES/ NO questions answered. Instructions on how to use this item will be emailed to you. Voodoo Belle's Magick Yes/No ring is made of sturdy stainless steel. The center of the ring spins to reveal the right answer.